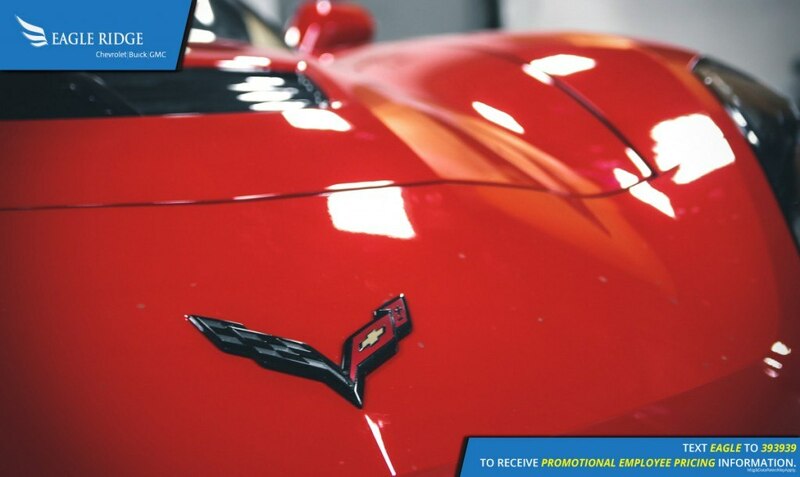 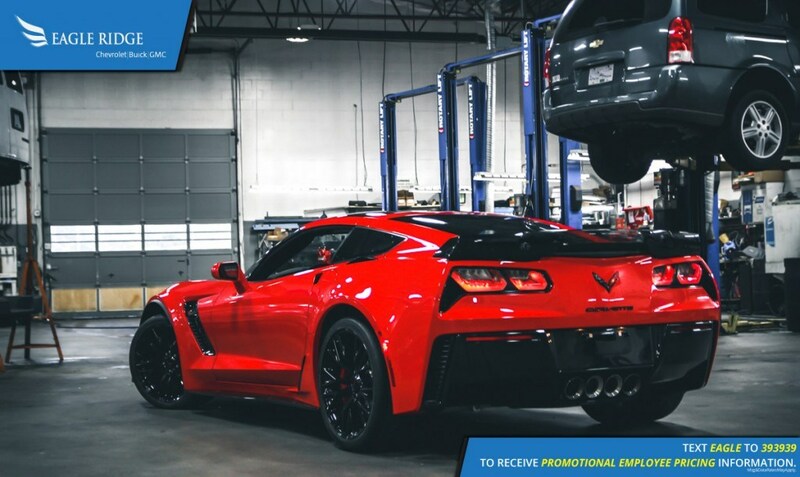 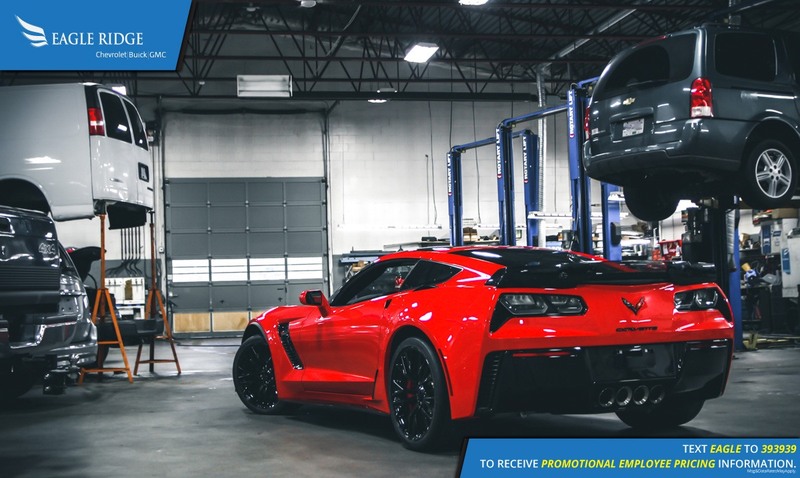 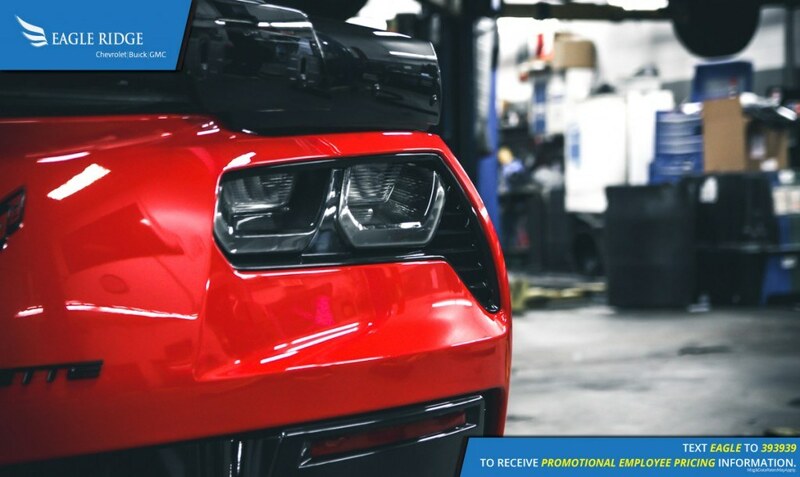 For the first time at Eagle Ridge GM, we’ve received the ultra high performance 2017 Chevrolet Corvette Z06. 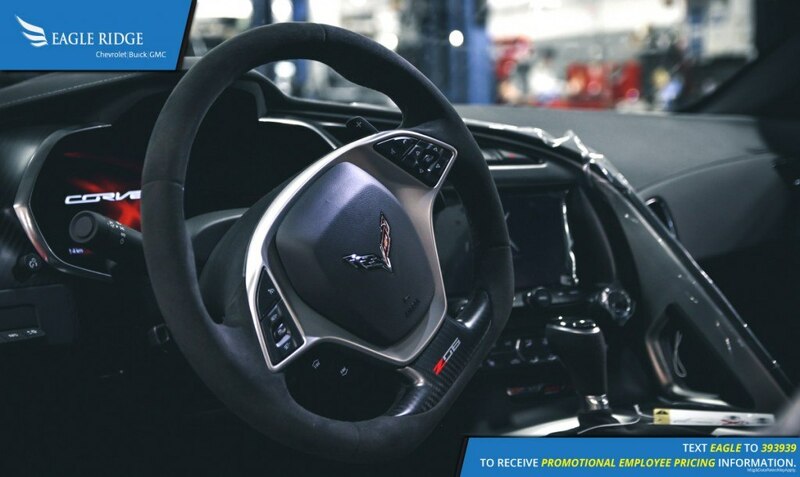 It was specially ordered for a customer and this particular car is fitted with just about every option one can get fitted to the Corvette. 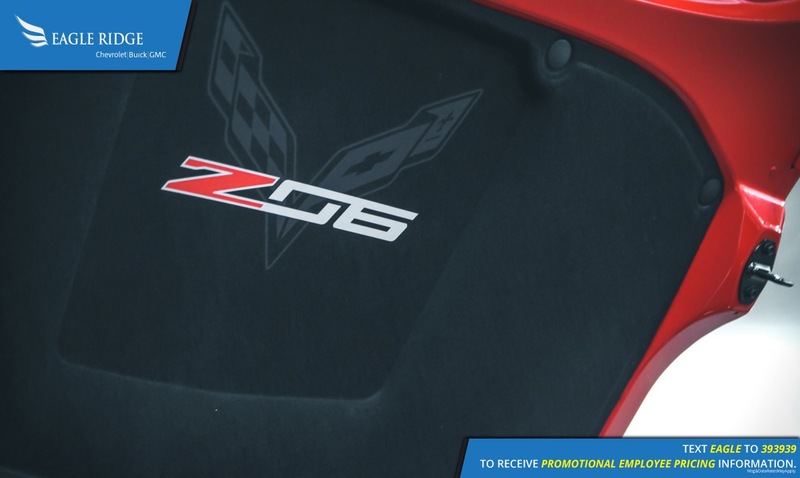 The Corvette Z06 is the most powerful sports car that General Motors is making at the moment. 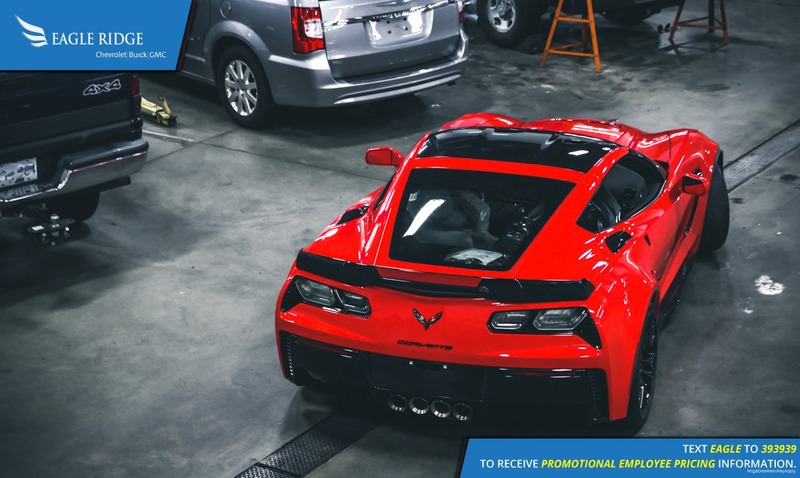 It is powered by a 6.2L supercharged V8 engine developing 650 horsepower and 650 lb-ft of torque. 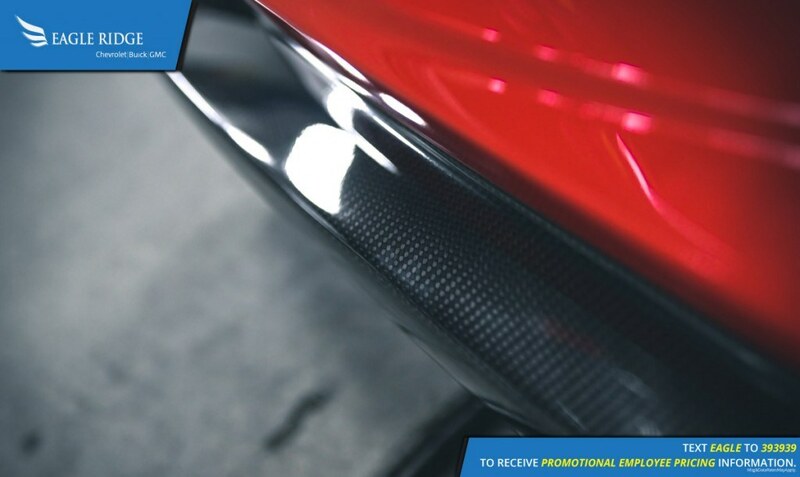 it will go from 0-96 km/h (0-60 mph) in just 2.95 seconds thanks to not only the tremendous power under the carbon fiber hood, but also the super sticky semi-slick Michelin Pilot SportCup 2 tires. 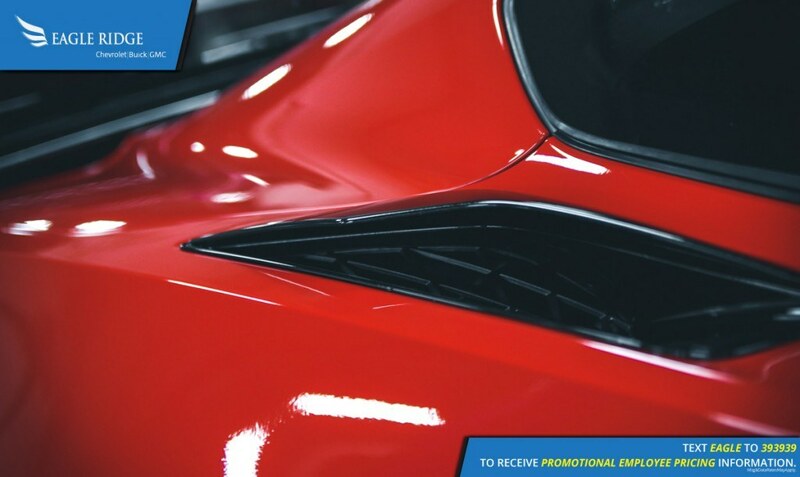 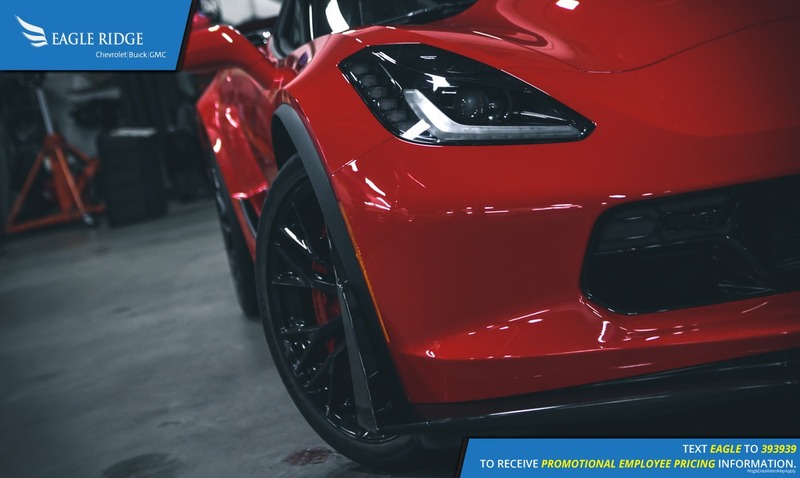 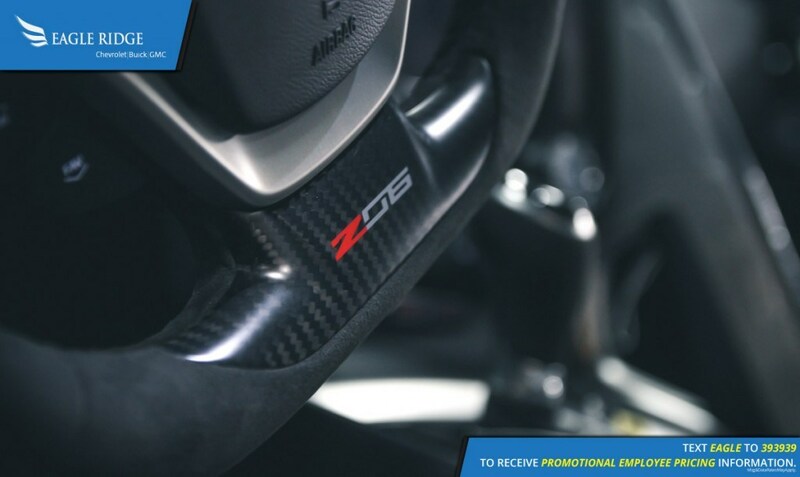 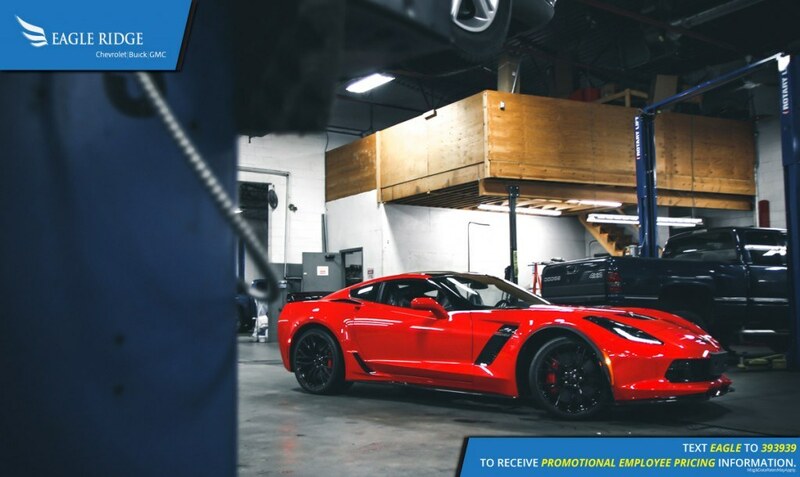 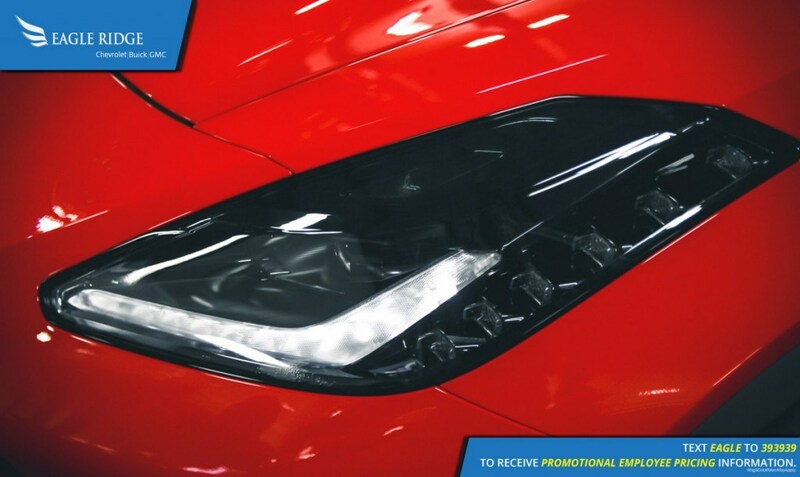 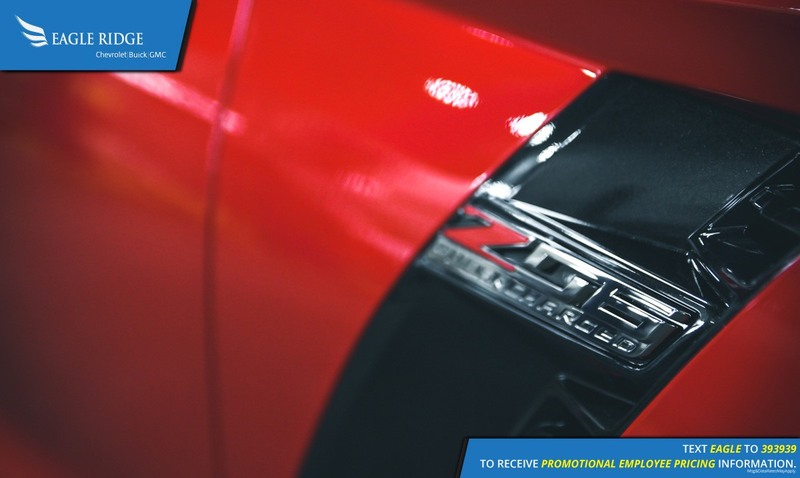 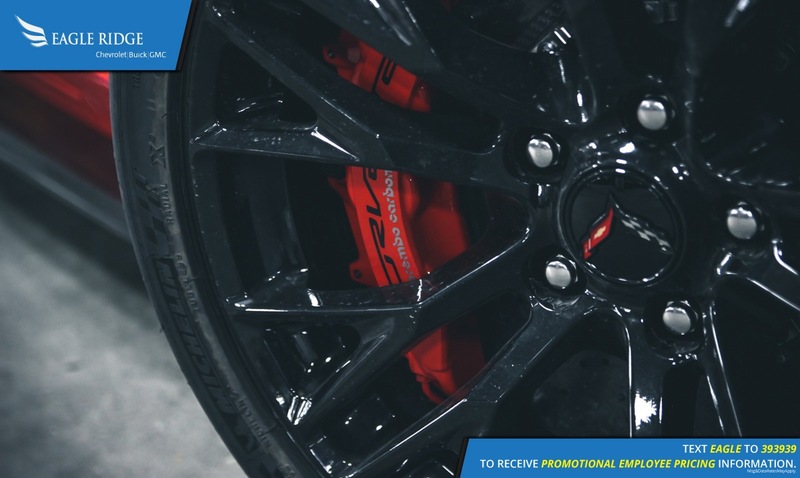 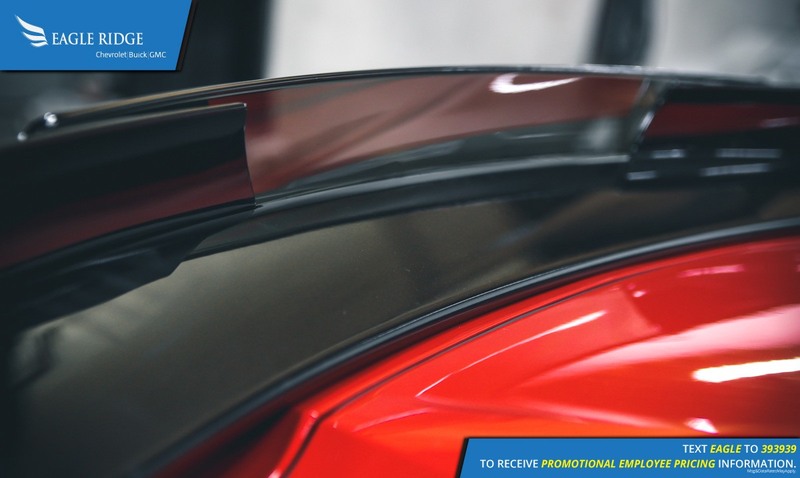 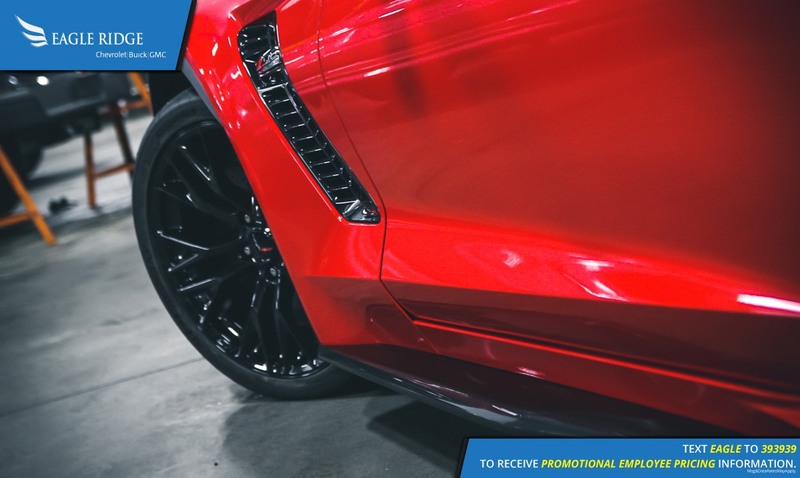 The torch red exterior paint is accented by the Z07 performance carbon fiber package which adds the sticky tires, carbon ceramic brake discs and carbon fiber ground effects kit. 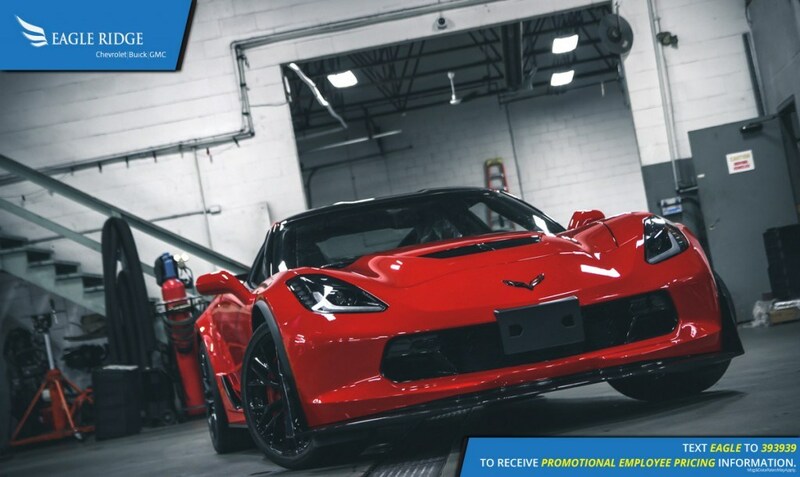 Thanks to an 80mm wider track, magnetic ride control, and an electronic limited slip differential, the Chevrolet Corvette Z06 can keep up and beat supercars costing two or three times as much. 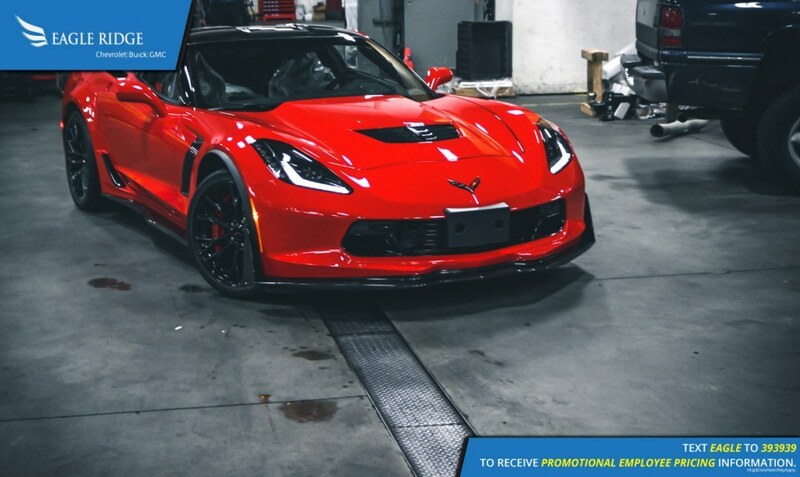 During Motor Trend’s review of the Corvette Z06, it did a lap of Willow Springs in California that was identical to that of the NIssan GTR Nismo. 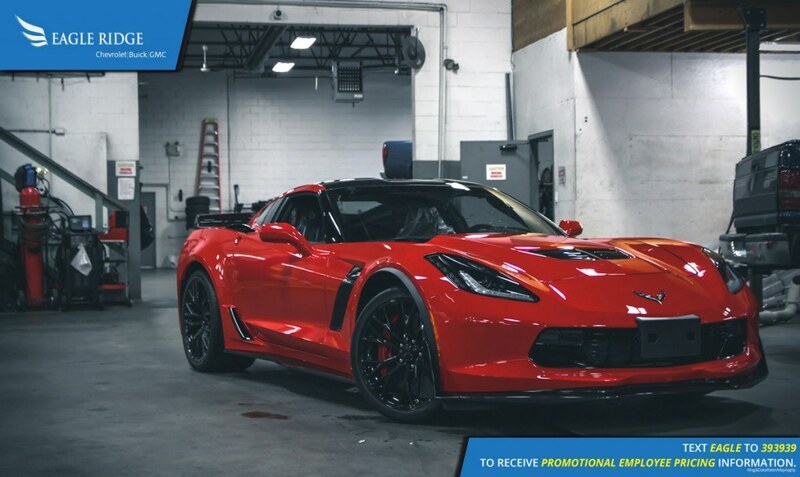 A car costing $200,000 versus the Z06’s starting price of just over $92,000. 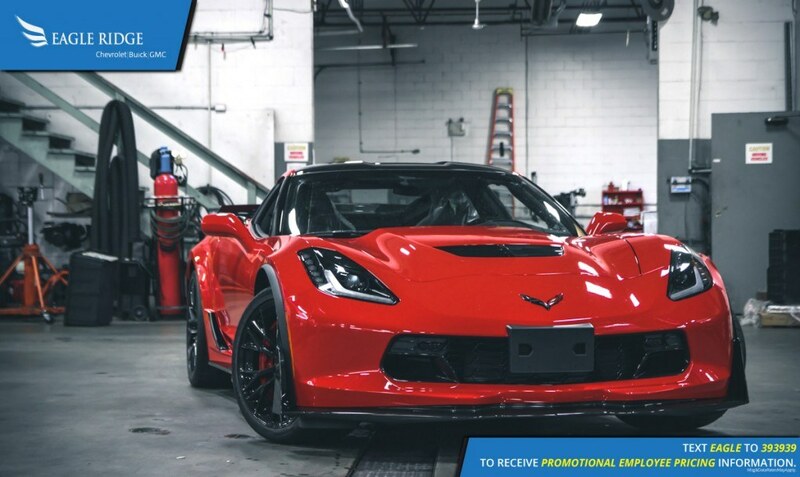 But the Z06 is not all about going fast around a race track. Thanks to 5 different drive modes, the Corvette can also be a good daily driver in a crowded city. 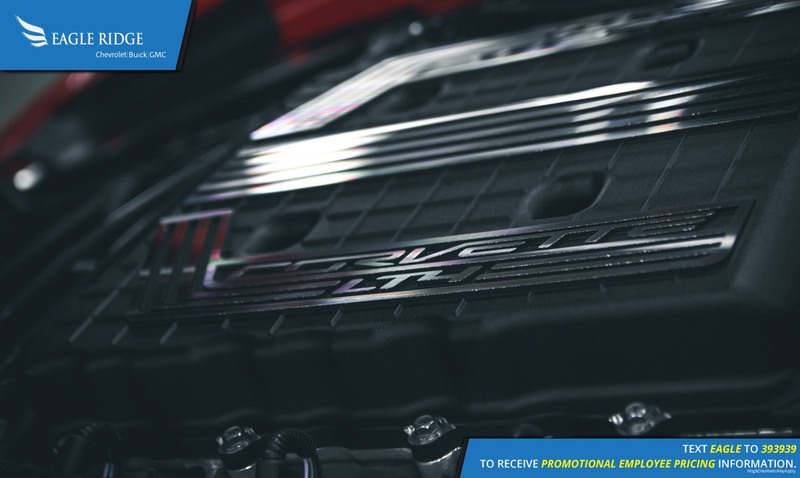 Cylinder deactivation can turn the V8 into a V4 for improved fuel economy while cruising, satellite navigation and get you to your destination, and heated & ventilated seats can keep you in comfort while driving to your destination. The 2017 Chevrolet Corvette Z06 is an all-round sports car that can embarrass the likes of Ferrari and Lamborghini but still be comfortably driven daily without emptying your wallet.